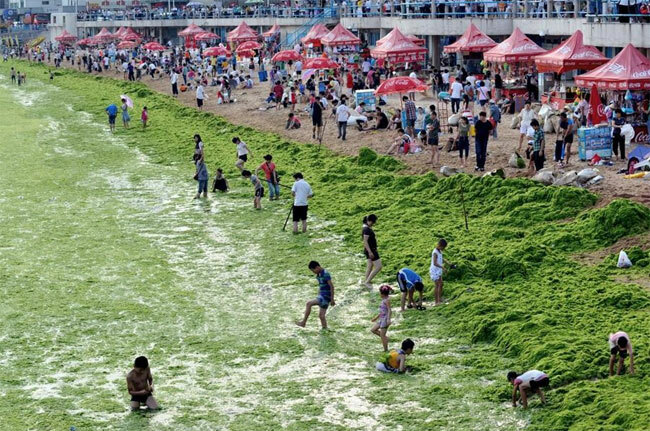 2 Qingdao beach after an invasion of sea lettuce. 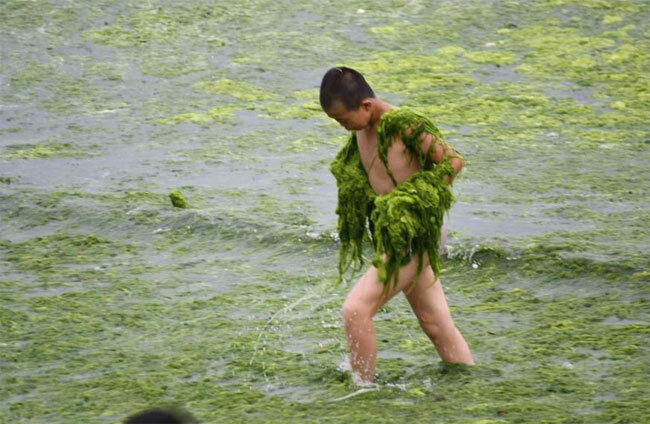 Qingdao beach after an invasion of sea lettuce. 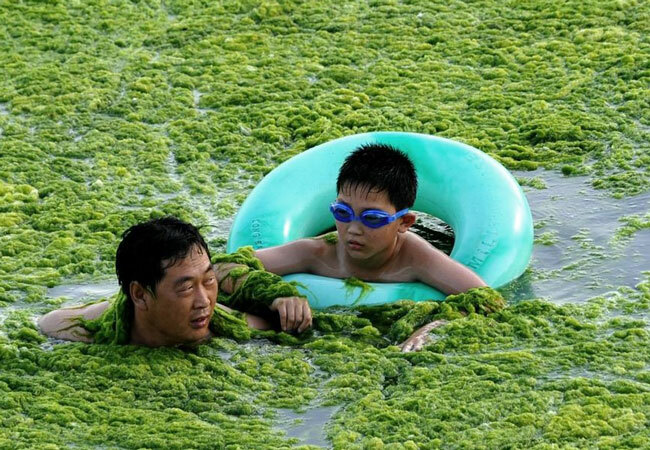 Many species of sea lettuce are a food source for humans in many countries. However, rotting leaves produce large quantities of hydrogen sulphide, a toxic gas. 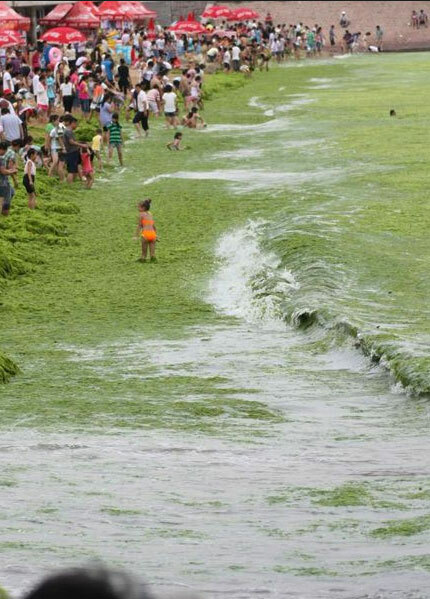 According to environmentalists, one of the main causes of this phenomenon is the excessive use of nitrates used by farmers to feed pigs. 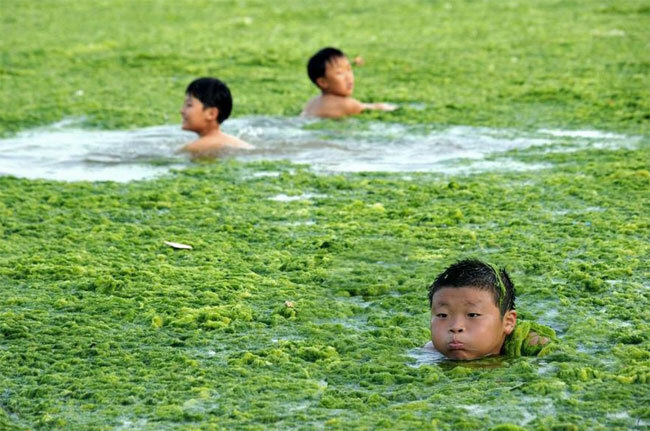 Algae use nitrates as a source of food. China is incidentally the biggest pork producer in the world (China almost produces more pigs than the rest of the world combined).